There are plenty of awkward photos from the G20 summit. A big group of world leaders together in one room is bound to lead to a few cringy moments, right? The thing is, some of the photos have to be taken with a pinch of salt. 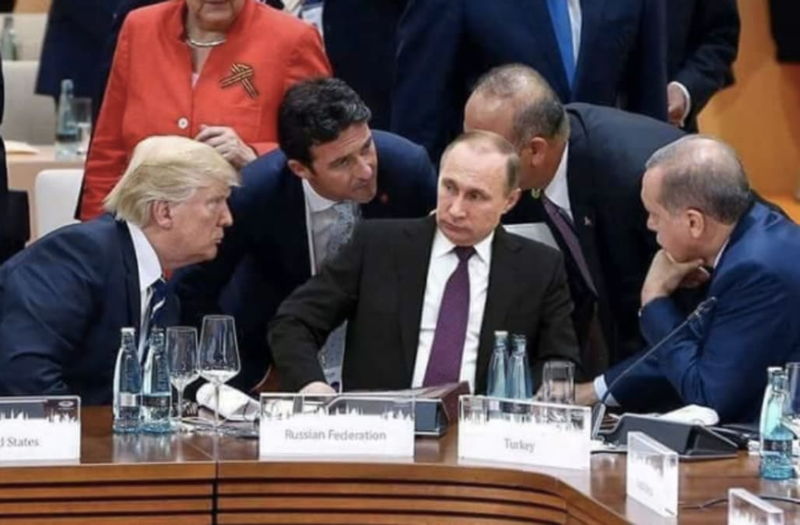 Over the weekend the following picture — which appeared to show Trump and several other world leaders staring at Putin with rapt attention — went viral on Twitter. As people began to point out, though, the picture is a Photoshop job. You can see from other photos taken of the conversation that "United Kingdom" has been photoshopped over with "Russian Federation", and Putin has been plonked on the empty chair. This is how the scene looked originally.